A little gem. Great scenery, continuous grade 2 with some grade 3 with little strainers/ timber. 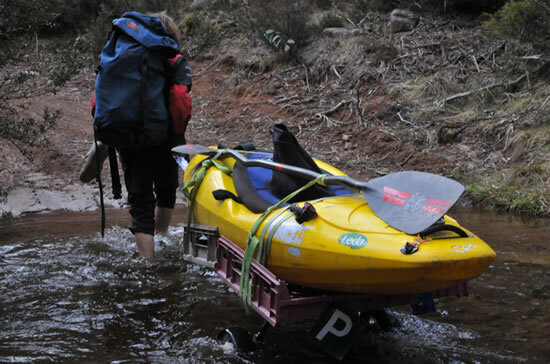 When the gate is closed at Dingo hill, its a fairly hefty drag or carry in with boats, especially with overnight gear. We took about 5 hours to do so......but it was worth it! We were treated to an alpine gem that is rarely, if ever paddled. Typical to many Gippsland alpine rivers, the Caledonia follows the script of gradually losing its gradient in a consistent manner, without any major gorge or major rapids. What you are left with is a reasonably continuous 15km of grade 2 - 3 cascade, that has you grinning, as you slide and weave through the rapids while gazing at the beautiful cliffs on either bank. Shaw creek enters about halfway down which adds more flow (Shaw creek always flows well - worth a walk up and paddle itself). 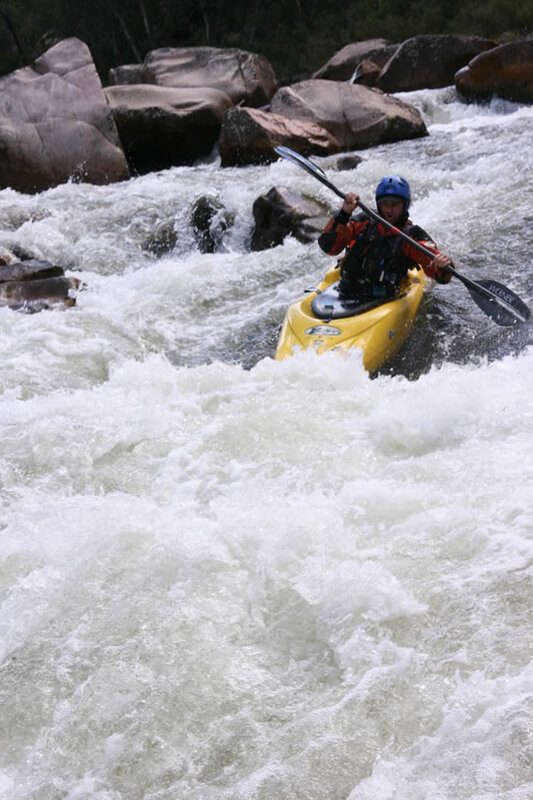 Shortly after a few short grade 3 rapids appear to add some more spice. After many more km's, the landscape levels out a bit and you soon enter the Macalister river which gives you a nice run down to 2 options for the take out (Barkly confluence/ ?? name) or onto where the Macalister meets the Licola/Tamboritha road picnic spot). Typical of alpine rivers, there are few logs/strainers, but nothing that can't be portaged. No doubt harder at high levels, but overall its reasonably clear at the time of write up. We chose to paddle onto where the Macalister meets the Licola/Tamboritha road (roughly a further 20km's) but you could pull out at the Barkly confluence and carry ~1km back to Glancairn bridge (?). The Macalister is also a nice grade 2 run. The river has plenty of rapids formed by rock shelves and outcrops. Another possible put in is the upper Caledonia Fire trail, which would add many more km's of paddling upstream. Another possible take out is accessing the upper Macalister via the 4wd tracks or remote properties.